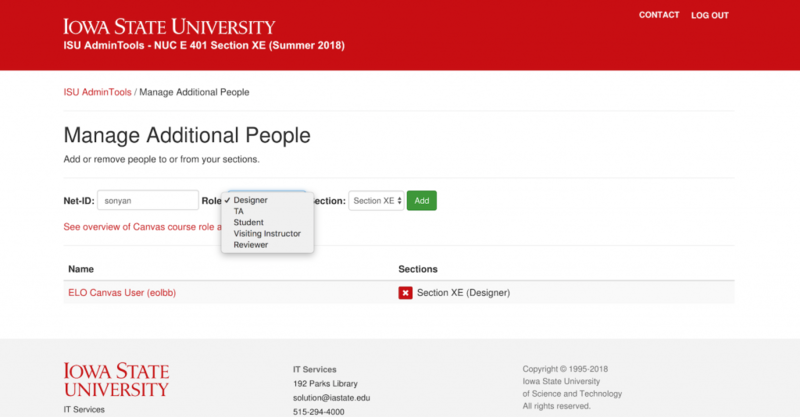 TAs, designers, visiting instructors, students and reviewers can be added to a course using ISU Admin tools in your Canvas course. Students should normally be enrolled via their course section through the Office of the Registrar’s Student Information System (SIS) using the Global Course Administration Tool. 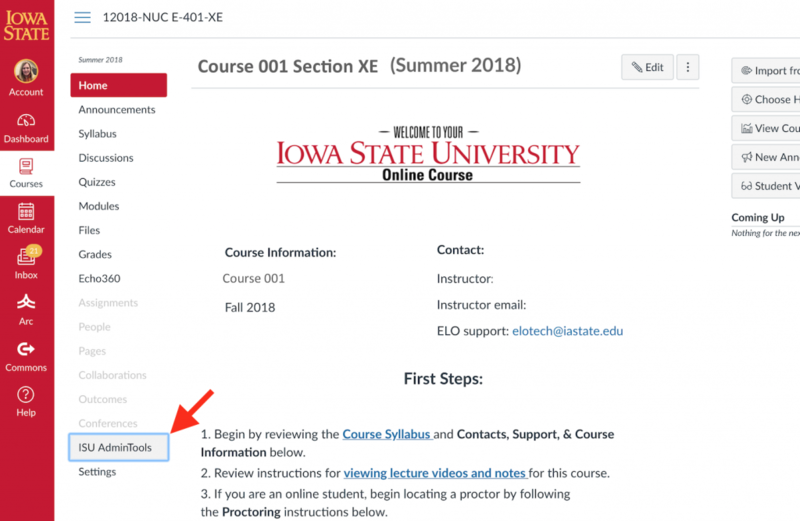 Navigate to your course and click on ISU AdminTools on your course navigation. Add the Net ID of any users, selecting the role you would like them to have. If you have combined multiple student sections (e.g. XE and A) into a single Canvas page, be sure to select “All Sections” from the Section dropdown list if you want the user to access all sections and click Add to confirm. (Optional) You can then remove users from this same screen by selecting the red X next to the user name. 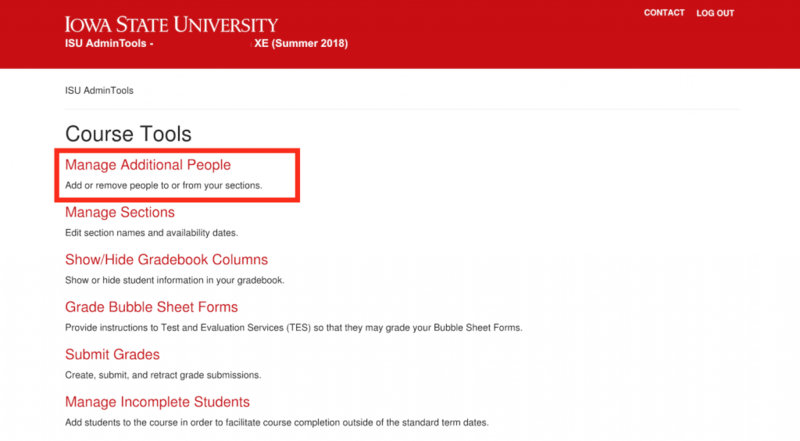 Note: If you want a user to have Full Instructor privileges within your course you will need to have your departmental administrator add them as an instructor in the course. To find out who that is in your department, use the Registrar’s Departmental Contacts website.